Looking for something sweet? Indulge in these decadent truffles that will give you a healthy boost! Paleo, vegan, gluten-free and low-glycemic…now that’s my kind of treat! Heat chocolate and sweetener in a double boiler until chocolate is almost completely melted. Remove from heat and stir until smooth. Add salt and coconut milk, followed by shredded coconut, stirring to incorporate. Using a level tablespoon for each, roll mixture into rounds and place on a cookie sheet lined with parchment. Place in fridge for 10 minutes to cool. While waiting, grind remaining teaspoon of sweetener into a fine powder using a mortar and pestle. Combine with matcha powder in a very small bowl. 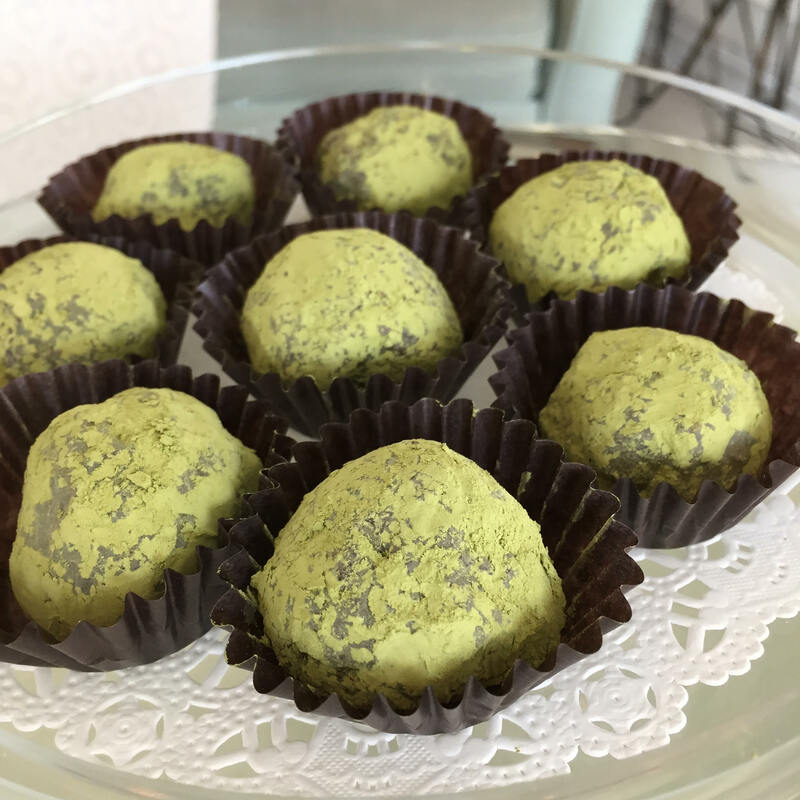 When truffles are ready, roll them in matcha mixture until lightly coated. Store truffles in the refrigerator until 2 hours prior to serving. Pack in boxes and give as gifts or plate them for serving. Enjoy!